If 21 years in the U.S marines is what is necessary to gain the ability to write songs of this quality then everyone should sign up. This is Chuck's debut album and came about due to a chance airport meeting with Ray Bonneville to whom we should be eternally grateful! The eleven songs on this album are quite stunning in subject matter, as well as being built on hugely appealing melodies, with the sound being sparse and Chuck's warm vocals quite distinctive. 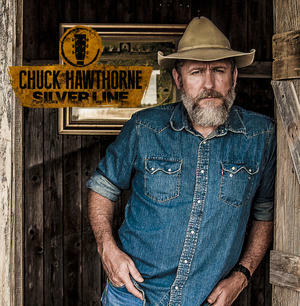 Overall we can fit him comfortably into whatever genre we choose to put artists such as John Prine and Kris Kristofferson into, without, on the evidence of this album, Chuck being overshadowed. Ray Bonneville produced the album and they had help from artists of the quality of Eliza Gilkyson and Gurf Morlix; that pair alone being sufficient to pique anyone's interest. This is a terrific recording that drags the emotions all over the place, always gaining sympathy for the songs subject and there will be few, if any, better debut albums released this year.